As third generation organic tea growers, Davidson's offers only the finest organic teas and blends them to please even the most discerning of palates. 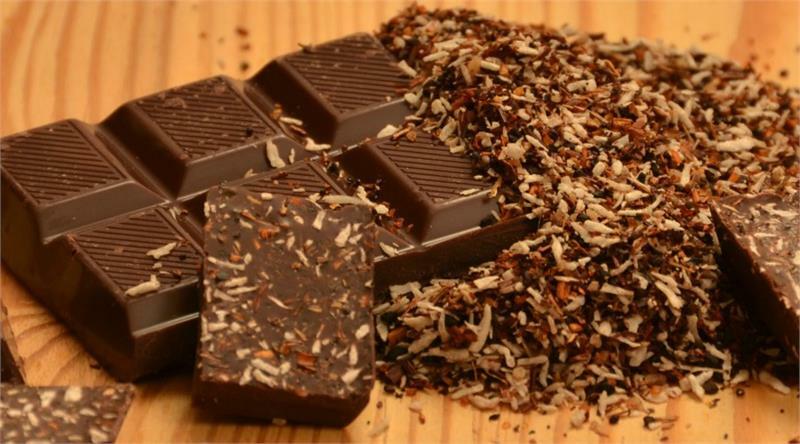 The infusion of Ecuadorian Cacao Arriba with our organic tea blends crafts a decadent dessert designed to gratify and soothe. This infusion combines a South American delicacy with a timeless tea tradition, creating a luxurious treat for all tea and chocolate lovers to delight in. The rich essence of roasted coconut from our Coconut Vanilla, combined with the organic cacao, creates a lavish dessert with tropical undertones. 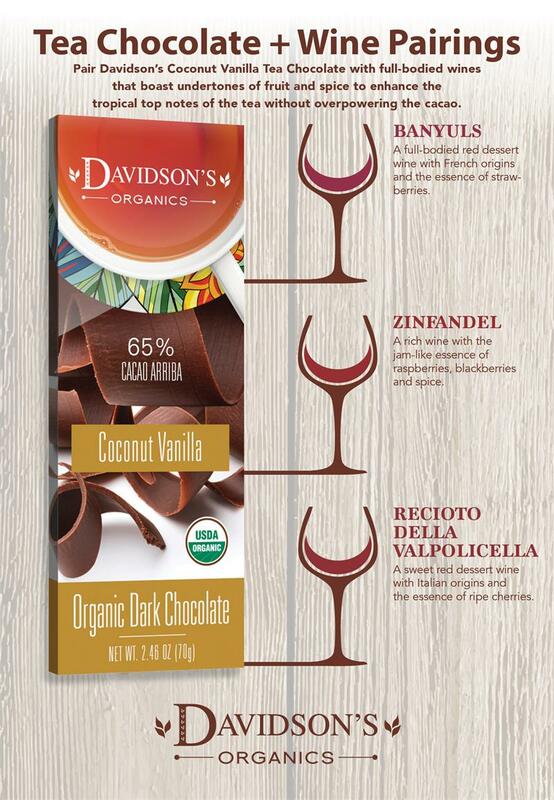 Davidson's recommends pairing the Coconut Vanilla Tea Chocolate with a spicy Zinfandel, a light Banyuls, or a ripe Recioto Della Valpolicella. 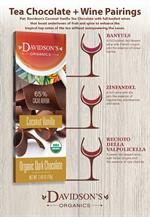 Each of these fruity wines complements the tropical undertones of the tea without overpowering the decadent cacao. 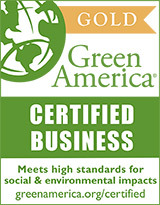 Not a wine drinker? Then try pairing Davidson's Tea Chocolates with their respective organic tea blends. To create this Tea Chocolate treat, we partnered with a third generation organic cacao farmer in Ecuador. 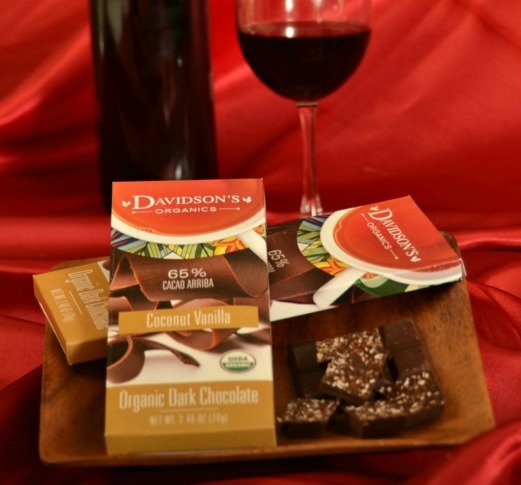 This small farmer let Davidson's in on every step of the chocolate production process. 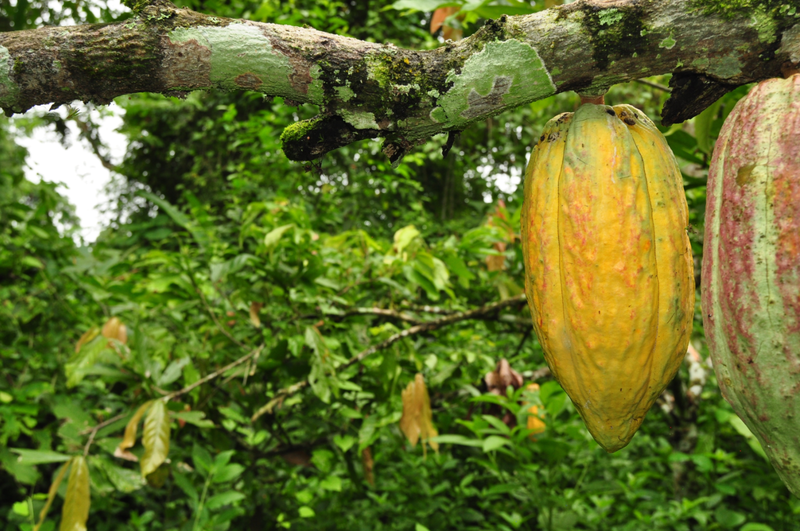 Here's a shot of the cacao plant, or pod, before any sort of processing. 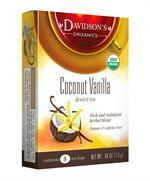 Organic cacao mass (arriba), organic cacao butter, organic cane sugar, and Davidson's organic coconut vanilla herbal dessert tea.